While the popularity of “Pokémon Go” has been fleeting, it looks like Nintendo might have a longer-lasting hit in “Pokémon Sun” and “Pokémon Moon,” which released Nov. 18. “Pokémon Sun” and “Pokémon Moon,” both available on the Nintendo 3DS, are Game Freak’s celebration of Pokémon’s 20th Anniversary. “Sun” and “Moon” bring forth new additions to revamp the traditional and nostalgic Pokémon formula of battling and trading without alienating old fans by making things too unfamiliar. 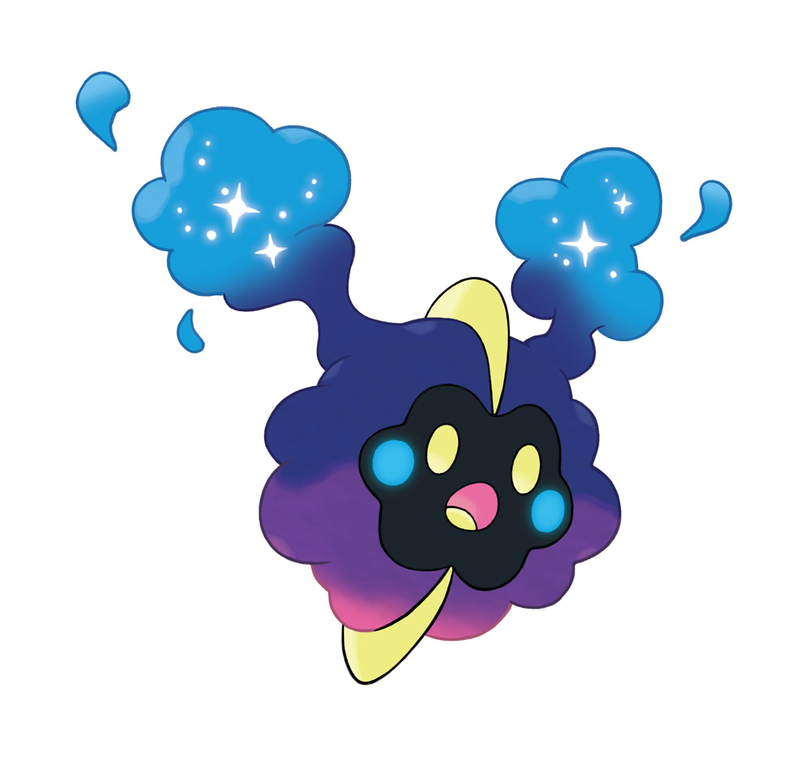 And it appears that fans agree — as of Nov. 30, “Sun” and “Moon” sold 3.7 million copies across the Americas, an 85 percent increase over “Pokémon X” and “Pokémon Y.” “Sun” and “Moon” are two separate games, but the two are virtually the same, aside from a few minor differences — most notably, a group of 10 or so Pokémon that are exclusive to each version and the in-game time clocks that are separated by 12 hours. “Sun’s” and “Moon’s” narratives keep the same basic plot beats of past main series Pokémon games,. “Sun” and “Moon” challenge players to traverse a visually breathtaking region to catch Pokémon by trapping them in balls, then have the creatures battle other Pokémon. Meeting other trainers and friends along the way, you’re also tasked — at the age of 11 — with stopping an evil organization from destroying the world. The turn-based, role-playing battle system that has been used since the days of “Pokémon Red” and “Pokémon Blue” is still present. Battles are split into turns where the player can choose one of four moves to either attack, defend or perform some other task. The game’s various attacks utilize a rock-paper-scissors-like chart with certain moves either dealing more, less or no damage, depending on the type of Pokémon. While the Pokémon formula remains largely untouched so as not to alienate veterans of the series, there are new additions to keep things fresh. “Sun” and “Moon,” like their predecessors “Pokémon X” and “Pokémon Y,” utilize 3-D models and shifting camera angles, a far cry from the pixelated, top-down view of past games on the DS and Gameboy. The brand new Island Challenge is the biggest change in “Sun” and “Moon.” Rather than travelling to eight gyms for badges like in past games, players instead go through a series of trials scattered across each of the four islands in the Alola region. These trials vary from island to island but usually end with a battle against a particularly sturdy Pokémon. Admittedly, the Island Challenge still feels similar to the gym challenges from previous games, but now there is enough variety in the activities outside of simply fighting. At one point you have to find ingredients to summon a powerful Pokémon while battling various other creatures along the way. You have to play a memory game in another trial with dancing Marowak. Every time you go to a new location, there is always something unexpected around the corner, adding to the intrigue in the game’s journey, which runs over 30 hours. Even after completing the main adventure, there are still more activities after the game. Also premiering in “Sun” and “Moon” are additional Pokémon attacks called Z-moves, which are powered up versions of an existing move you can use by holding special stones that vary depending on the Pokémon and its type. For example, a Pokémon with a normal-type move, like tackle, can hold the Normalium Z stone. The Pokémon can then use a move called “Breakneck Blitz” once during battle. The base power of the move is double the power of the normal-type move the Pokémon has. On top of these crucial features, as well as minor changes, “Sun” and “Moon” feature a roster of 80 never-before-seen Pokémon, all with phenomenal battling capabilities and designs. There are a couple of duds, but they don’t hamper the overall quality of the lineup. Even though there could have been a larger roster, the game’s creators clearly went for quality over quantity, which is admirable. In addition to 80 new Pokémon, there are also brand new forms of old Pokémon redesigned with Alolan forms. Regional variants of old Pokémon, such as Raichu, Golem and Exeggutor, all fit with the Alola region and help give more variety to the Pokémon roster. While “Sun” and “Moon” are great overall, the games aren’t perfect. A new battling feature makes catching and battling wild Pokémon far more annoying and tedious than before. In wild battles, stray Pokémon have the chance to call upon a second Pokémon at the end of the turn to support them in battle. The battle then becomes an annoying two-versus-one battle, and there is nothing the player can do about it. Another issue with this fighting process is that you can’t catch a Pokémon when there is more than one in the field, and these wild Pokémon call upon help very often. Catching a wild Pokémon to add to your collection can take over 10 grueling minutes because a single Pokémon can keep calling for more help every time you knocked out the sidekick Pokémon. This mechanism works well when fighting against the powerful Totem Pokémon, because having another Pokémon during these important battles makes the game more challenging. This doesn’t work the same way for normal wild Pokémon that you just want to catch or run away from. If they had just kept this aspect to the trials, then I wouldn’t have a problem with it. While Game Freak has fixed several mistakes in its Pokémon formula, there are still plenty of blunders that lead to the game taking far longer to complete than it should. The lengthy, unskippable amount of tutorials at the beginning of the game, for instance, only make your early interactions with “Sun” and “Moon” slow and dull. Despite minor issues, “Sun” and “Moon” are more than worth your time and money. This is a lucrative franchise with no signs of stopping, and “Sun” and “Moon” demonstrate Game Freak’s ability to continually advance, reinvent and maintain itself. The company has continued to do that for 20 years without losing sight of what makes its games enjoyable for millions of fans.